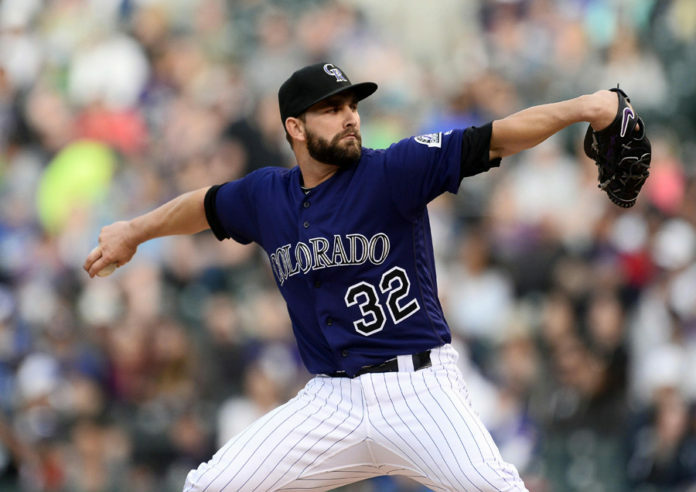 After missing the entire 2015 season due to his second Tommy John surgery, Tyler Chatwood has come back stronger than ever, and people are starting to take note. On Saturday, former Rockies pitcher Jason Hirsh joined Michael Klahr and Mark Knudson on Sports Stampede to analyze his hot start. Chatwood is undefeated on the road this season, boasting an ERA of 0.53 in five starts. His home ERA of 5.10 is not bad considering he has to pitch in the thin atmosphere within Coors Field. However, there are some worries for Chatwood having freshly come off of his second Tommy John surgery. 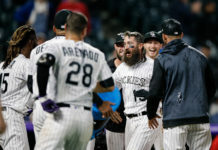 After dropping seven of their last ten games, the Rockies have some work to do in order to stay competitive this year. They have recently fallen back seven and a half games behind the NL West leading Giants, and six games back of the next wildcard spot. Regardless of where the Rockies stand now, the sports world is beginning to notice Chatwood’s success, as Buster Olney recently showed his support for him. Catch Sports Stampede every weekday from 8 a.m. – 10 a.m. on Mile High Sports AM 1340 or stream live any time for the best coverage of Colorado sports from Denver’s biggest sports talk lineup.